If you're not the type to take care of your belongings, you might want to check out Outlier's new Minimal Backpack when you're on the hunt for a new bag. 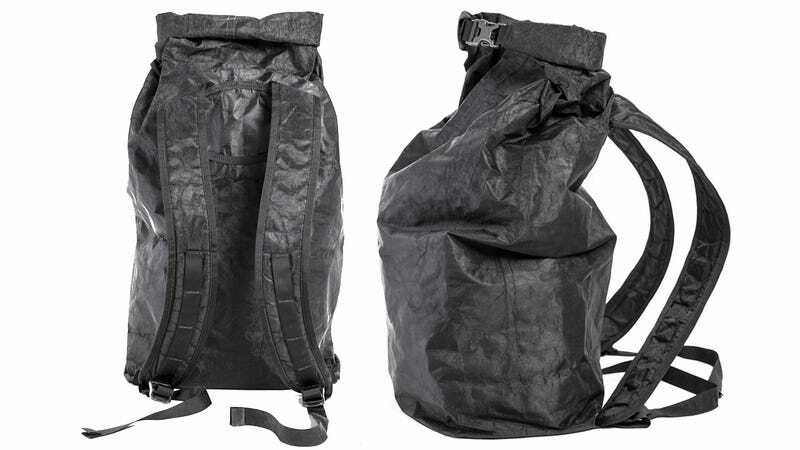 You can think of it as the Tonka truck of carry-alls, except that instead of metal it's actually made from a lightweight fabric called Dyneema that has a strength-to-weight ratio that's about ten to fifteen times stronger than steel. So what makes this Dyneema so wonderful? Well, it's actually made from a thermoplastic material called ultra-high-molecular-weight polyethylene—or UHMWPE for short—that's odorless, nontoxic, highly resistant to corrosive chemicals, low absorbent, and has the highest impact strength of any plastic we've cooked up. And in the case of Dyneema, it's spun into fibers to create an incredibly strong and durable fabric that's used in everything from parachutes, to vehicle armor, to bullet-proof vests.